No need to worry about the weather, with this Ohuhu Bike Trainer, you can now bike all year long. *An adjustable bar-mounted remote allows you to effortlessly control the bike's resistance from your handlebar. *Extra wide, stable frame provides solid performance during hard efforts. 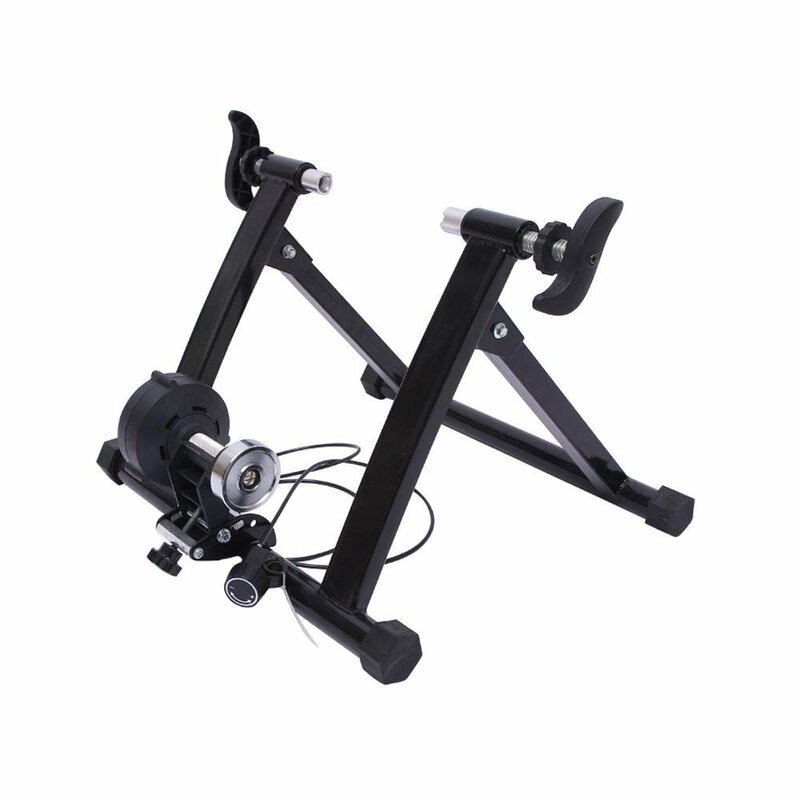 *Despite its heavy frame, this bike trainer can be easily folded for transportation and storage. *Easy setup - Hooks up to just about any bike, including road and mountain bikes with a 24" -28 " or 700c wheel. *Fine-tune to your wheel and tire size with the micro-adjust knob.